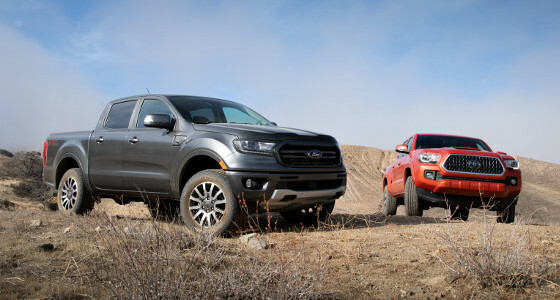 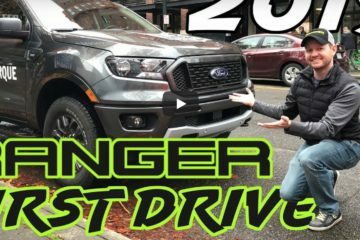 A Ranger5G member has put together this comprehensive specs comparison between the 2019 Ford Ranger and its midsize pickup truck competition — Tacoma, Colorado, Canyon and Frontier. 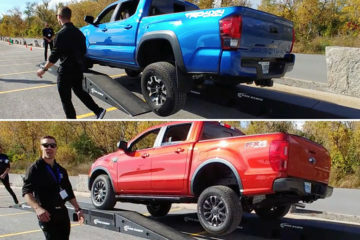 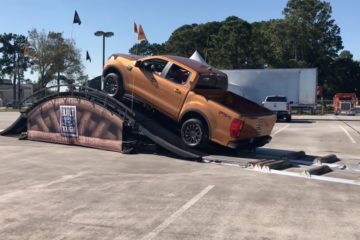 What stands out is the 2019 Ranger’s torque, payload and towing capacity, all of which top the competition, and which are important specs for the Ranger to be taken seriously as a capable dual-purpose work-and-recreation vehicle. 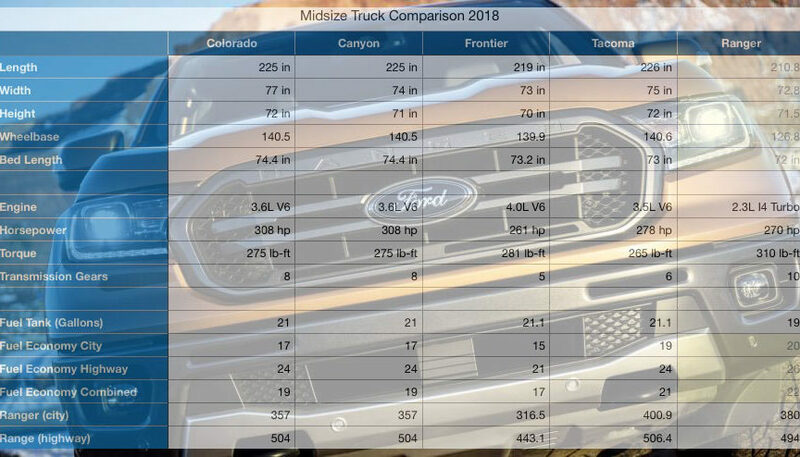 Its pricing also appears to be very competitive with the competition, especially considering its favorable specs (and appearance, in our opinion) over the other midsize pickups. 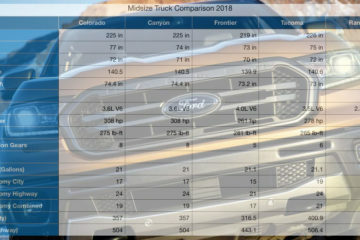 Have a look at the comparison inside.